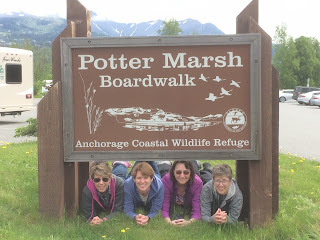 Philly Bird Nerd : Alaska! 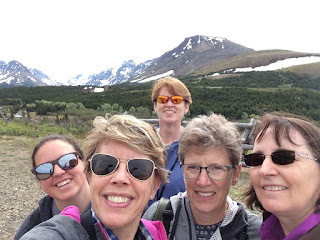 We are on day 8 of our Alaska trip and I finally have time (and Internet access) to get a quick post out. One word - WOW! 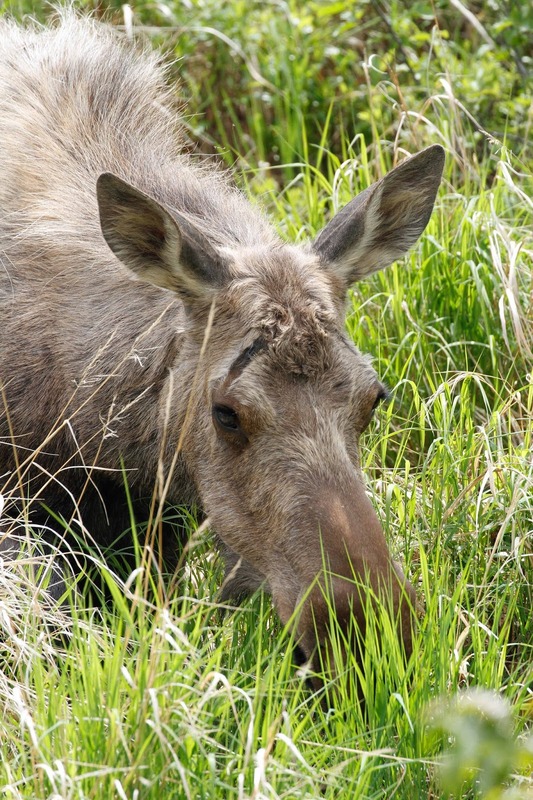 Alaska is awesome. It's huge. It's beautiful. It's ... wow. Our first day in Anchorage was spent with a "local" who is a friend from our hockey team. Mandy and her husband moved to Anchorage 8 years ago and she offered to show us around. 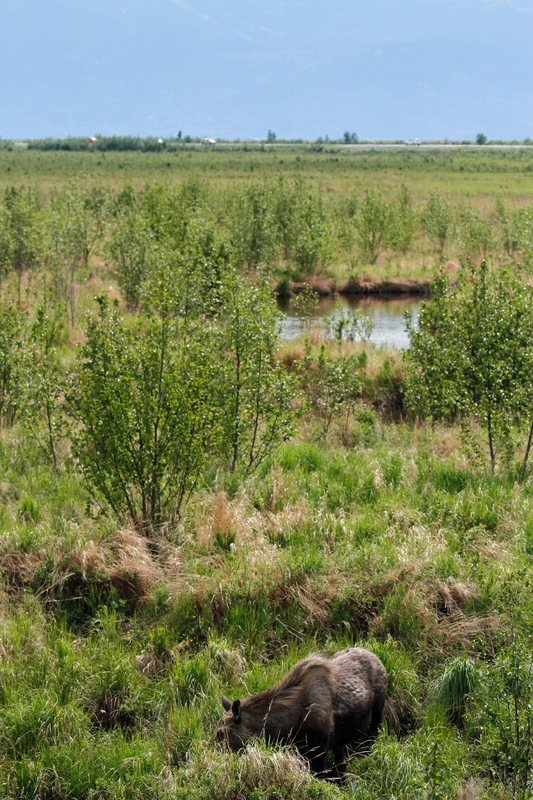 She took us to Chugach NWR for a great view of the area. 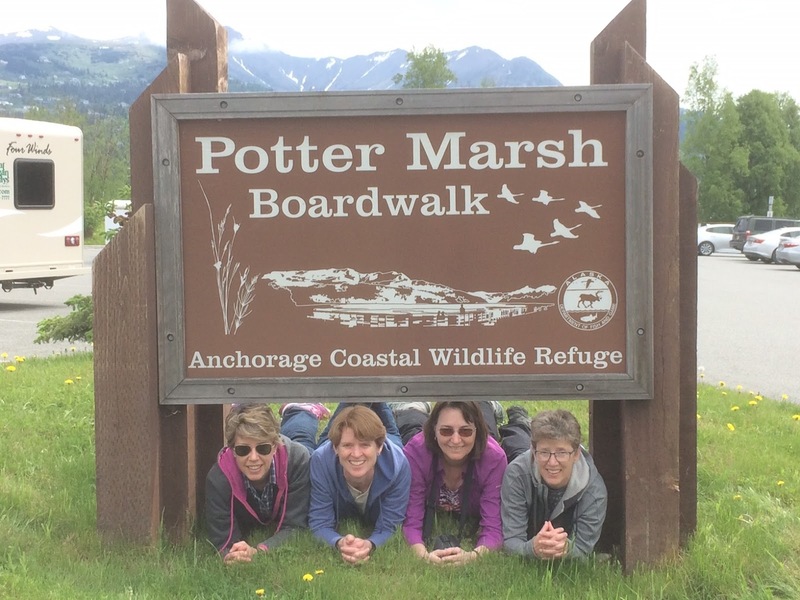 She took us to Potter Marsh which is a pretty famous birding destination right along the main highway. 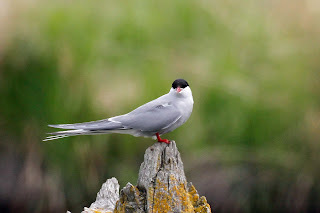 It has a boardwalk where we saw a few birds including this Arctic Tern. 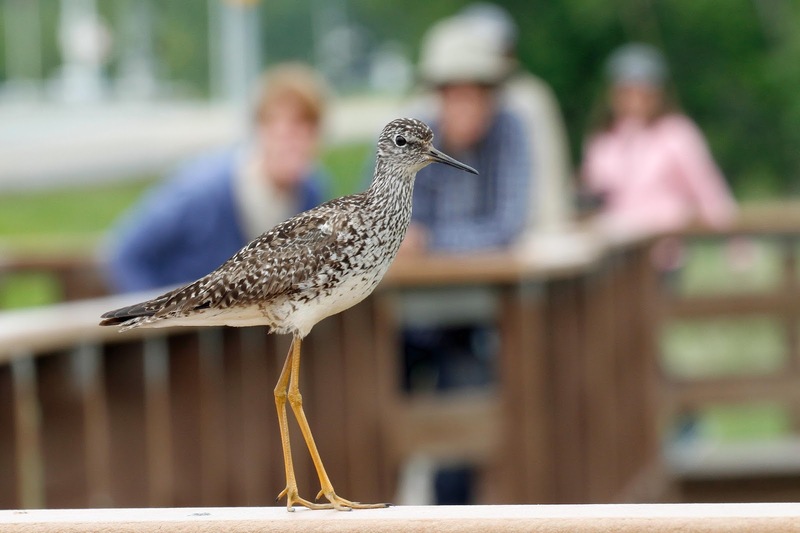 And this Lesser Yellowlegs dive bombed us and hung out on the railing. I think they had a nest near the boardwalk. BTW, that's Diane and Barbara in the background. 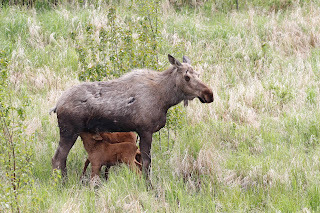 The main attraction though, was this Momma Moose and her twin calves. The babies mostly laid in the grass but then had a quick milk break. 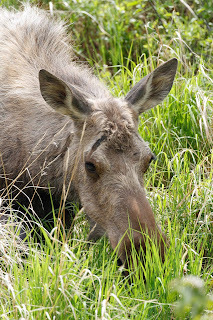 Mandy told us that mother Moose can charge and trample people who get too close to the babies. We were all safe up on the boardwalk. Mom felt so safe that she actually wandered closer to the boardwalk after the twins laid down again. On top of dragging us all over Anchorage, Mandy then invited us to the house where she and Mike made us this feast of 3 different fish (all caught by Mandy and Mike)! 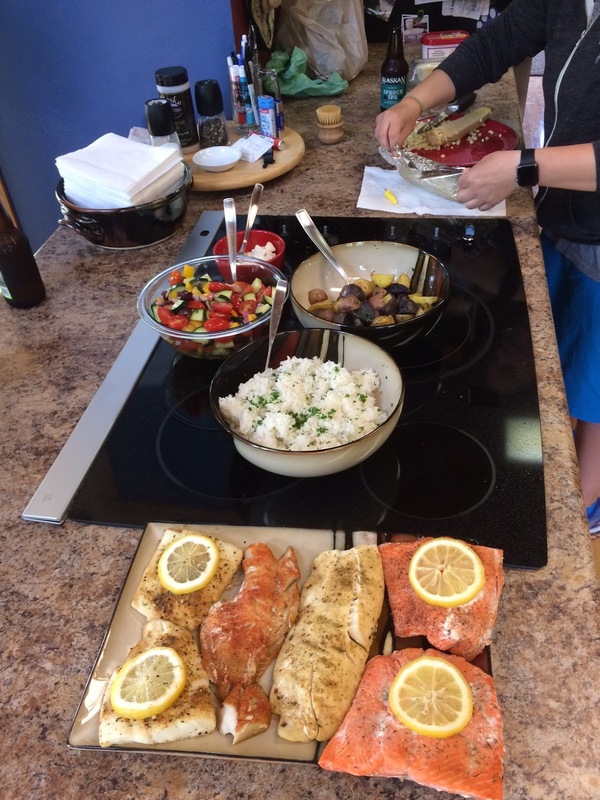 Now that's hospitality.